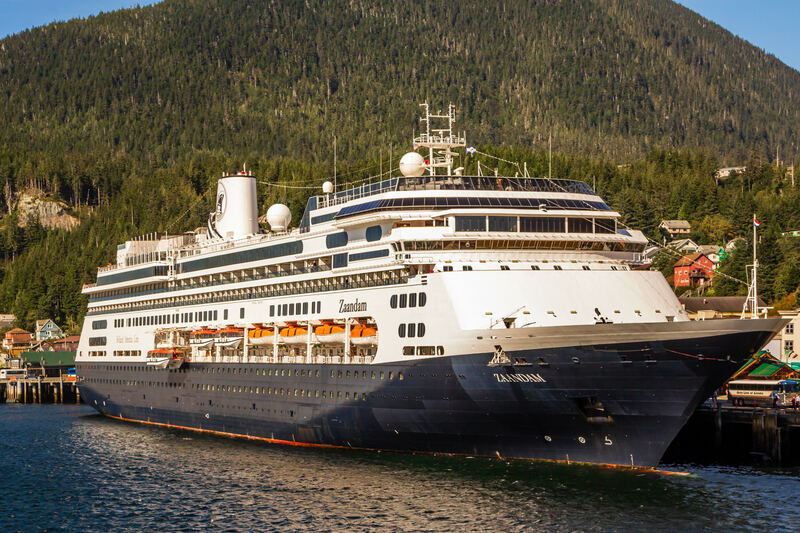 The Holland America Line’s cruise ship Oosterdam, docked in Ketchikan, Alaska. 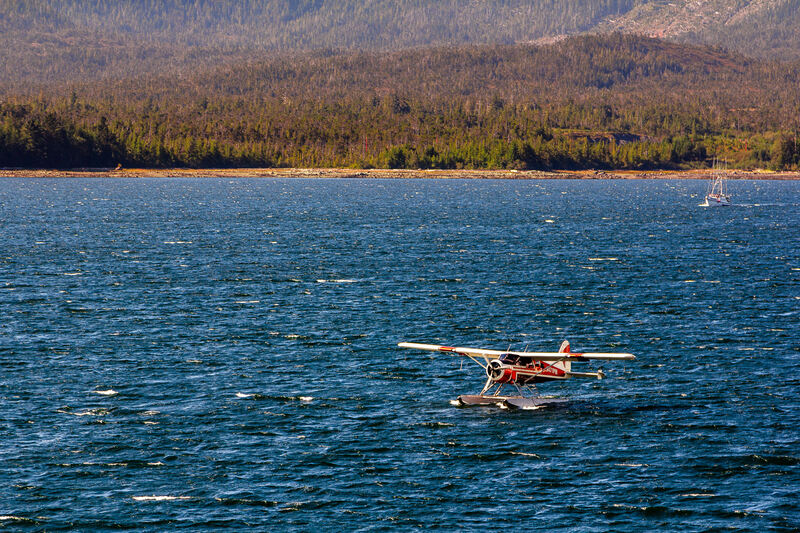 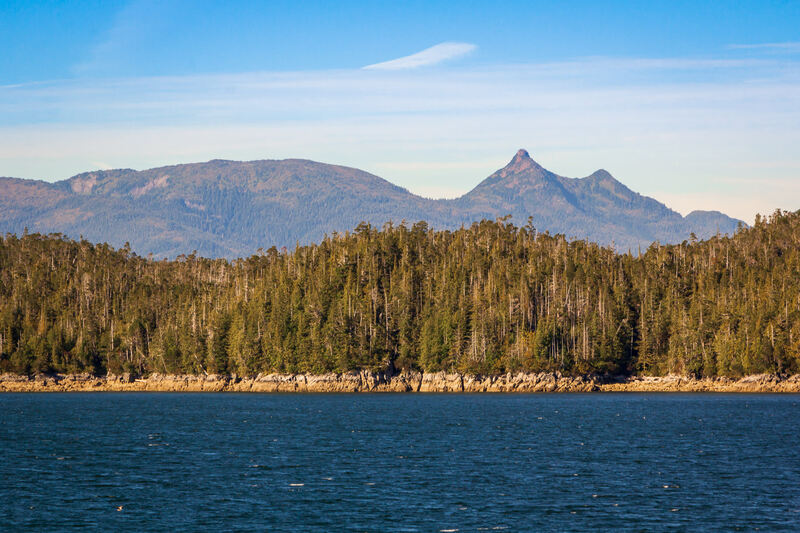 Trees grow on Gravina Island near Ketchikan, Alaska. 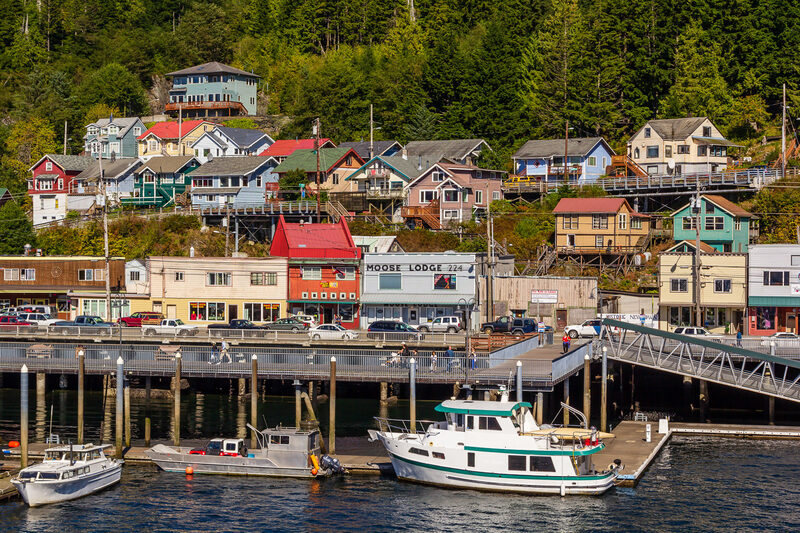 The multi-colored buildings of the Ketchikan, Alaska, waterfront. 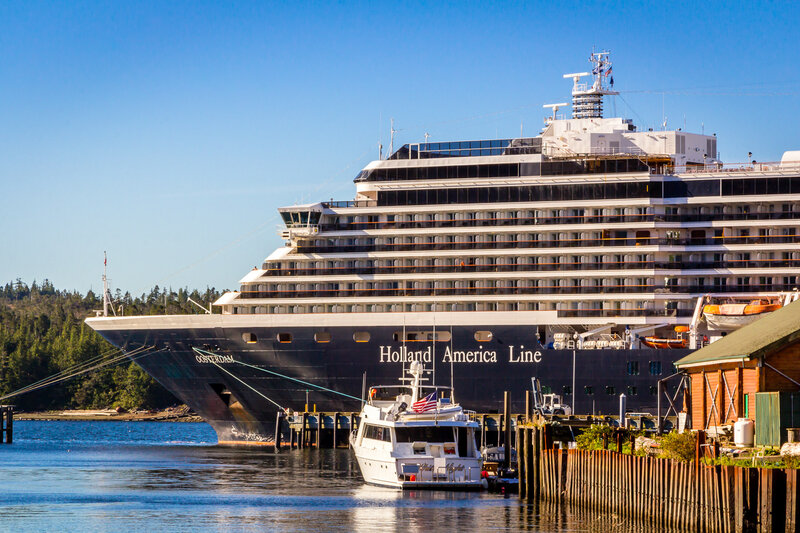 The Holland America Line cruise ship MS Zaandam docked at the cruise ship pier at Ketchikan, Alaska. 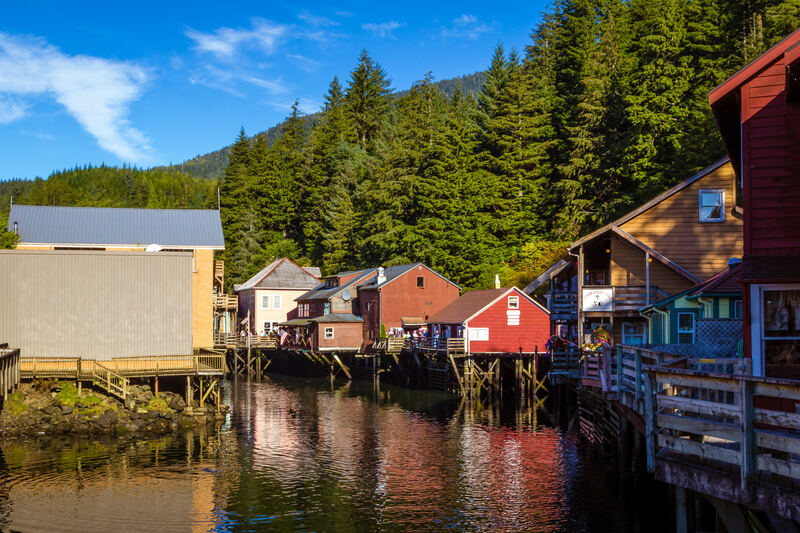 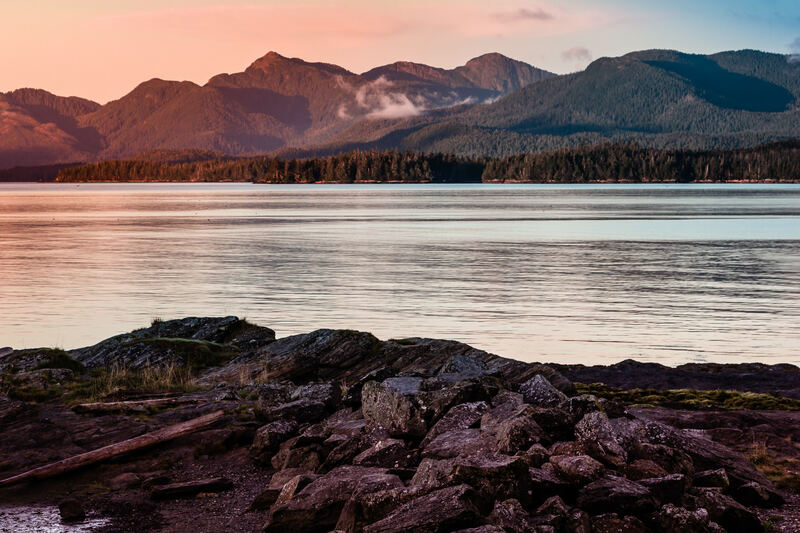 Creek Street—Ketchikan, Alaska’s former Red Light District—is now the center of the town’s tourist district. 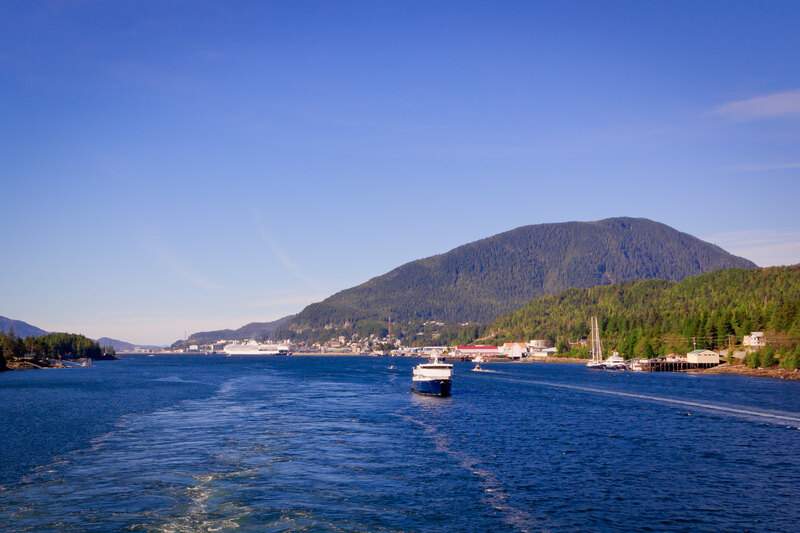 Ketchikan, Alaska, recedes in the distance, as seen from the deck of the departing cruise ship Norwegian Pearl. 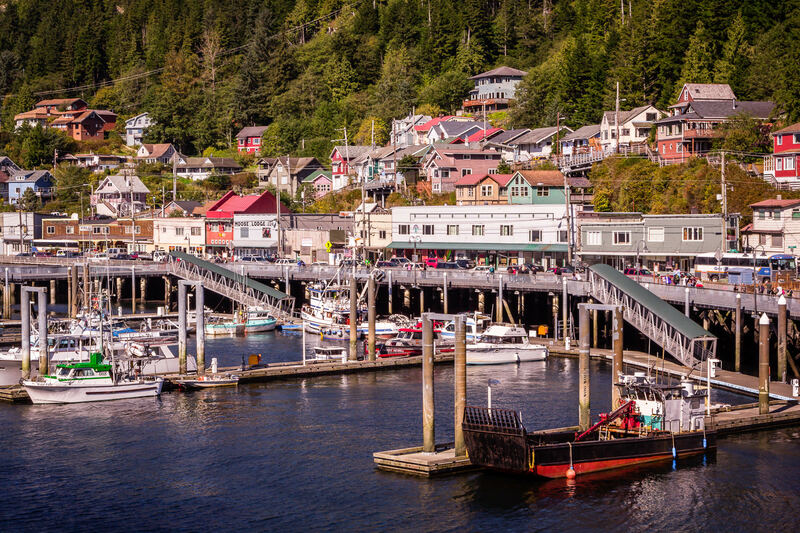 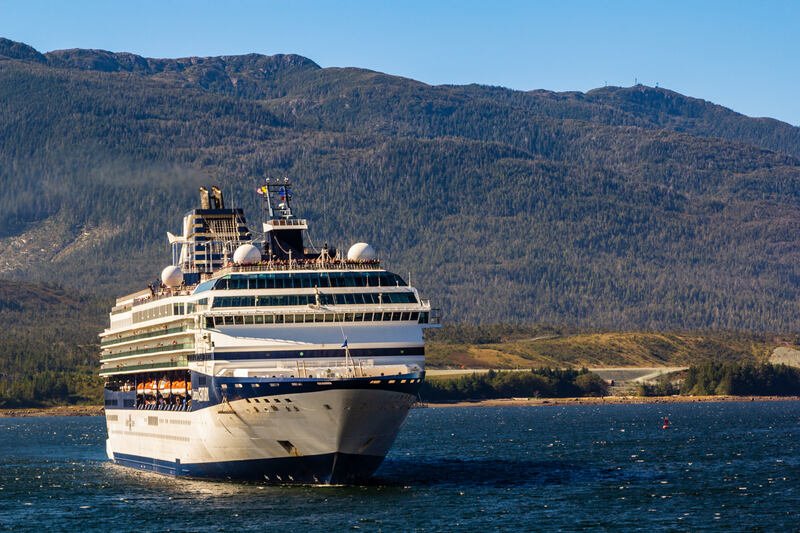 The busy harbor at Ketchikan, Alaska.